In a Safe House for battered women, where a number of Indian women from other states also take refuge. We did a workshop on self-esteem for 20 women, followed by a mini theatre play for their 40 children. All of the women and children received books at the end. The head of the Women Commission for the State attended the workshop and now wants us to go back to do a course for two women’s institutions in the area. In a mixed community with a Mobile Children’s Library, where 150 children and 30 mothers attended. Their interest in reading and books was so heart-warming, and their enthusiastic reaction to having their own storybooks very endearing. In 2 Indian communities way in the Sierra, where a total of 600 children attended. We were able to take personal time with each of the first 200 children to say something special to them which they can remember, to know that someone from far away came and cared and loved. It was a special time. In a very marginal neighborhood, with no running water, where 200 children and about 60 mothers and 20 fathers attended. Besides these programs, we left books to be brought the Triquis, one of the most violent Indian tribes in the region and for two orphanages we were not able to get to. 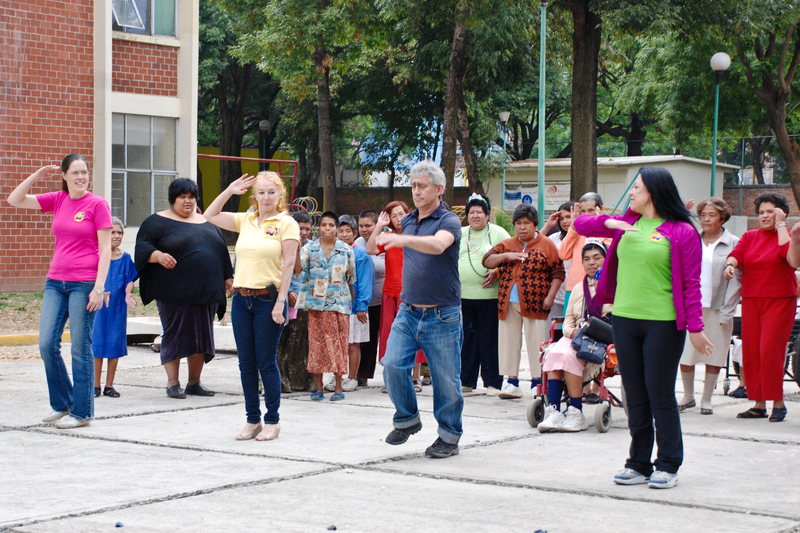 Together with a doctor and team of volunteers we visited 3 indigenous villages in the Mexican State of Hidalgo. After gathering all the children and mothers in each village square, we taught them dental hygiene with the aid of a flannel board and then distributed books, toothbrush and toothpaste to each child. Burn victims: From the 2009 fire in the Guarderia ABC in Sonora, Mexico: the fire a terrible tragedy due to neglect, took the life of 49 children, and left more than 70 with respiratory problems and other permanent conditions. Twenty children and their parents were invited by a senator to Mexico City in order to consult with specialists on their respiratory ailments. We went to the hotel where they were staying to do a program for them. What impacted us most was a little six year old little boy, cheery and playful who, instead of directly participating in the games and activities we were holding, would place a plastic toy dinosaur in his place. At the end of the program, when all the children lined up in order to receive their books, he was last in line, behind his dinosaur which he was pushing along as the file progressed. 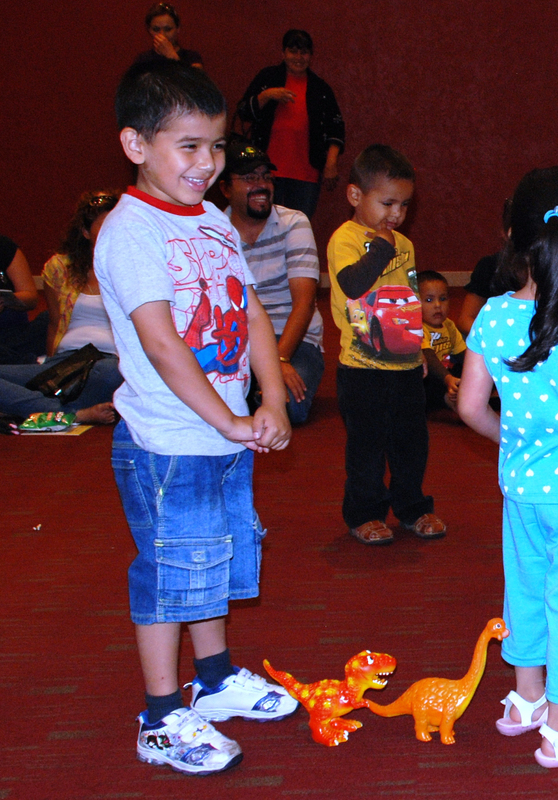 We gave his dinosaur a book, and it –through the little boy- duly thanked us, and it was all quite endearing. Then the boy’s mother approached us and explained that the dinosaur represented his big brother who had died in the fire. It was his way to keep his brother alive and have him participate in his life. We had to hold back our tears. Orphanages: We got together 120 children from three different orphanages in a children’s hall with bounce houses and inflatable slides. 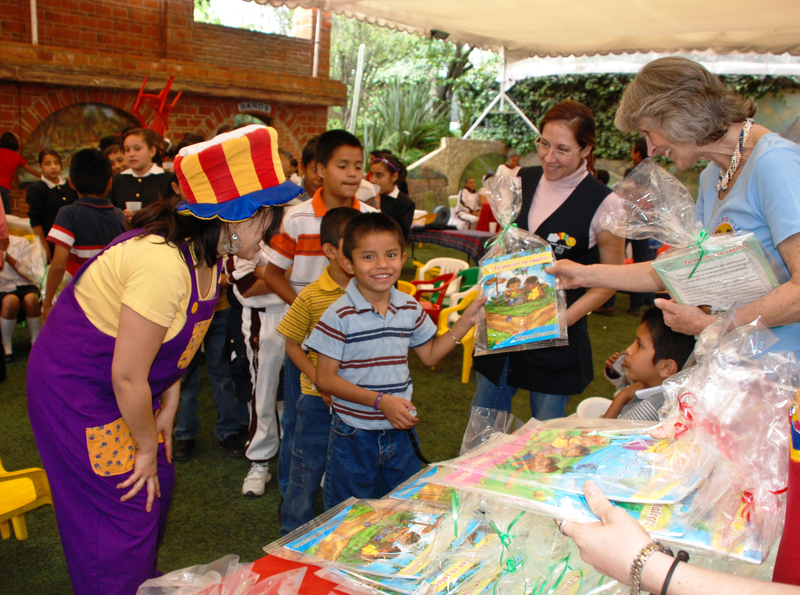 They enjoyed a yummy meal, activities, story-telling, and at the end, each child received three books. Most of these children have been taken away from their families for abuse, and many of them bear visible marks of physical violence. Their resilience and love for life, in spite of their tragic stories always touches us deeply. Cancer Ward in the Children’s Hospital: A dear professional clown friend did his show for the children, and then went from room to room with us, to visit those who were too sick to leave their beds. We shared beautiful, heart-warming, emotional moments with the children and their parents, and all received their books, which in the hospital setting were even more valued. : We got together 120 children from three different orphanages in a children’s hall with bounce houses and inflatable slides. They enjoyed a yummy meal, activities, story-telling, and at the end, each child received three books. Most of these children have been taken away from their families for abuse, and many of them bear visible marks of physical violence. Their resilience and love for life, in spite of their tragic stories always touches us deeply. 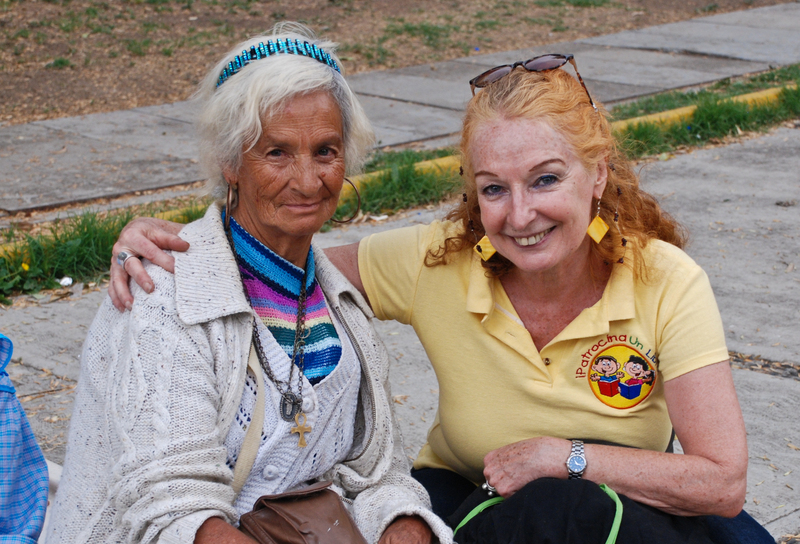 Women’s Refuge: We organized an event in a refuge for 350 indigent women, most of them aged, with a good percentage of them suffering from mental illness due to being left on the streets or suffering traumatic situations. We went with the desire to bring moments of joy, to help them know that someone loves them, cares for them, and so that on the special day of Motherhood, they would feel remembered and accompanied. At the end of the animation/dance/singing program, we got together the smaller group of mothers who are there with their children and distributed books to everyone. 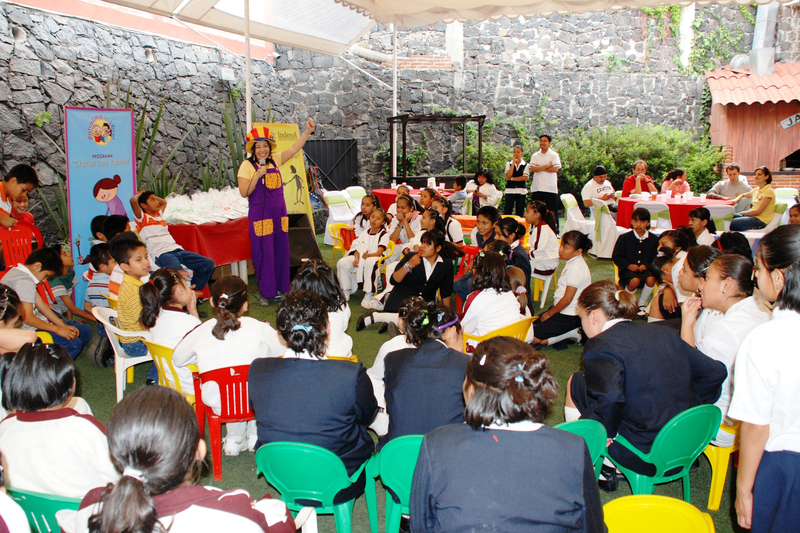 Again, we want to thank with all our heart for making this programs possible with the donations of books. We offer animation, workshops, and theatre, but the books are what will last and work in the lives of the children and of the women in a way we would never be able to. Thank you, Activated Ministries, for helping us impact lives. We very much appreciate you.